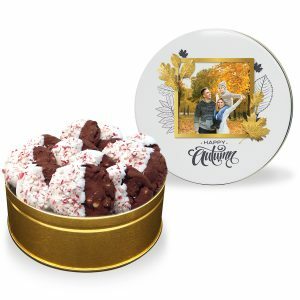 Perfect for the holiday season, we take our gourmet chocolate double chip cookies and dip them in luscious white chocolate before covering them with crushed peppermint candy pieces. 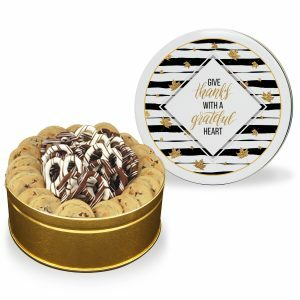 Perfect for the holiday season, we take our gourmet chocolate double chip cookies and dip them in luscious white chocolate before covering them with crushed peppermint candy pieces. 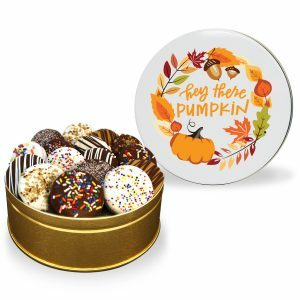 Share this treat with someone you care about this season. 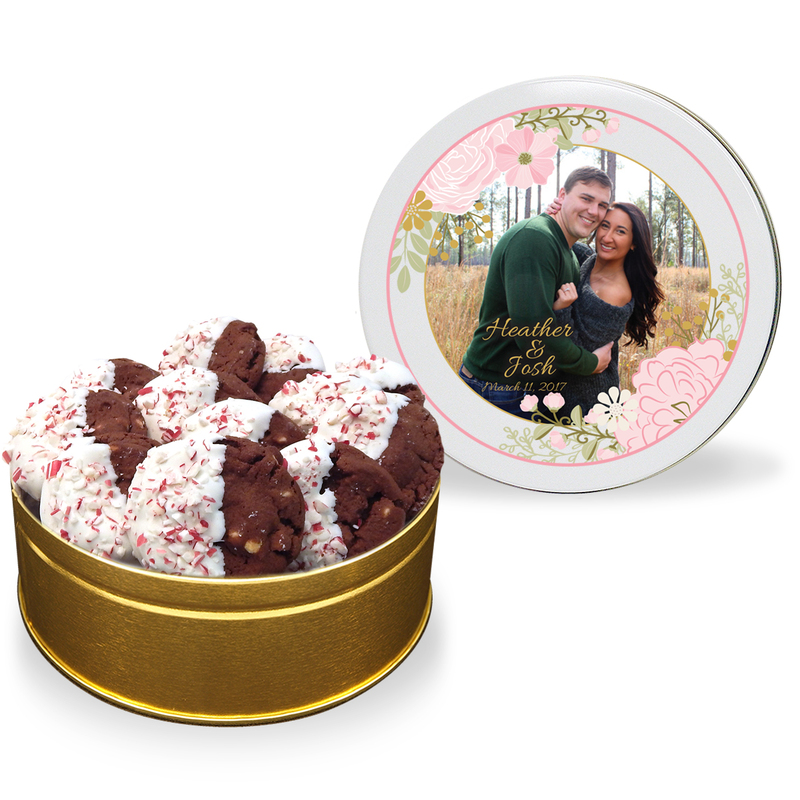 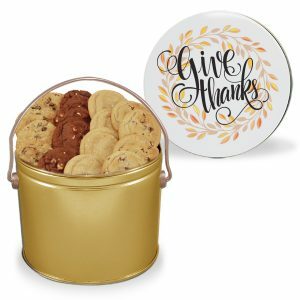 Choose a beautiful stock tin design or personalize it with your own picture or message.